Basic understanding of English, as the presentation and course material is in English. We are engaged in providing Gemology Courses. ISGJ’s Graduate Gemologist course is the highly professional and coveted Internationally recognized gemologist title. JKDIGJ is the first institute in India offering a practical program in Rough Diamonds. This distinctive course is one-of-a-kind unavailable elsewhere in the market. Rough Diamond Graduate is a comprehensive course which is 100 percent practical oriented and includes intensive lab sessions and an extra ordinary valuation system matched by none. This course has been developed for those who want to build a career in the booming Gems & Jewellery industry. 3 weeks (Double Batch) Gemology is a comprehensive course wherein students are exposed to thousands of Rough & Polished gemstones for detailed study. This program covers Practical identification with huge stock of Precious, Semi - Precious, Organics and Rare Stones collections. This 4 week programs offers student’s basic and advance level of gems identification, using more verities and different types of gemstones. Students will further master their skills in detecting and separating natural gemstones from synthetic ones. We are providing Gemology Course Traning. 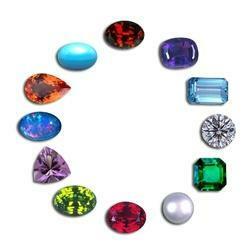 We are specialized in providing Gemology Courses. We are specialized in providing Gemology Course Services.